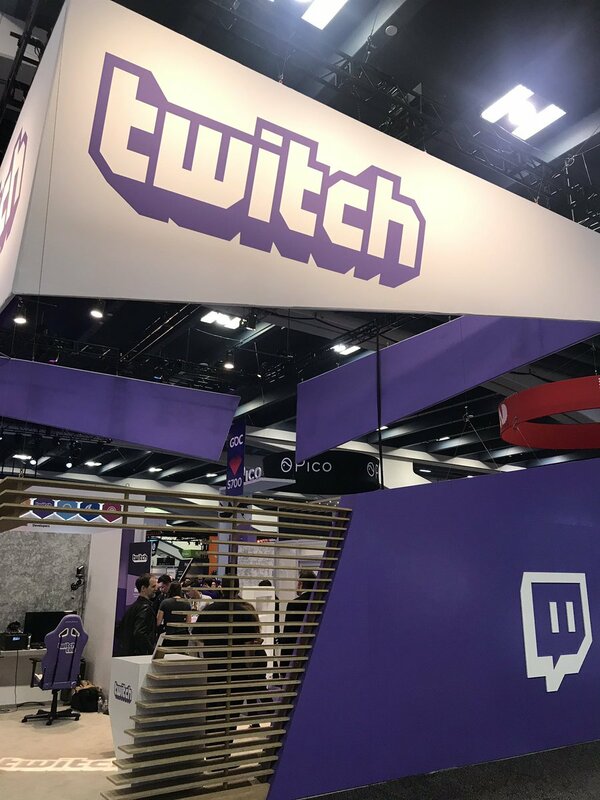 The Game Developers Convention broke records with more than 29,000 attending on March 18-22 at the Moscone center in San Francisco. 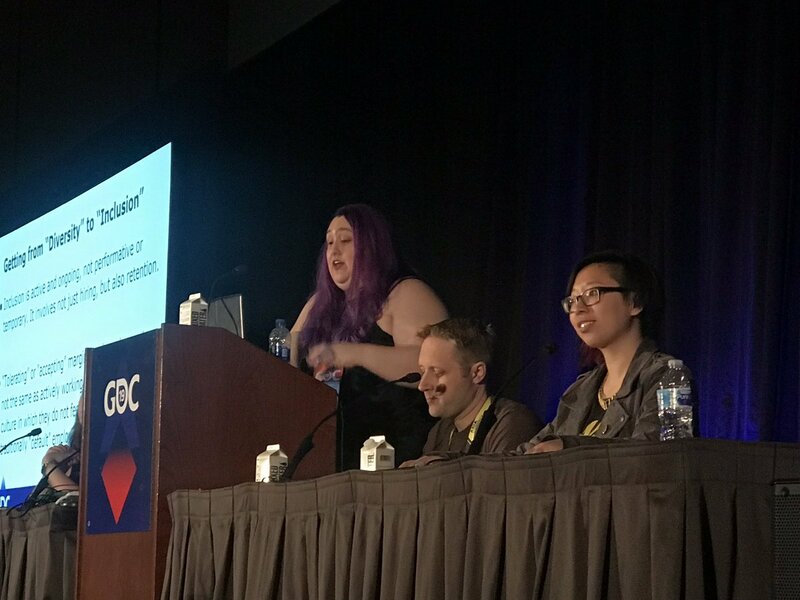 Key themes included: indie games, diversity and inclusion, positive game behaviors, and VR/AR. 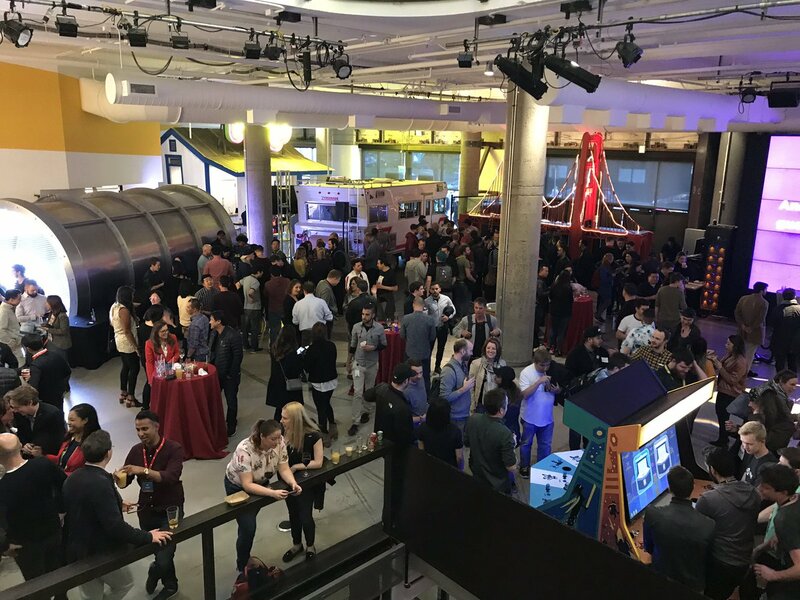 LA’s rich games community represented with LA game companies on panels, the show floor, winning awards and hosting parties. LA games companies featured below include Sony Santa Monica, Activsion Blizzard, Survios, Naughty Dog, Scopely, JamCity and Insomniac Games. 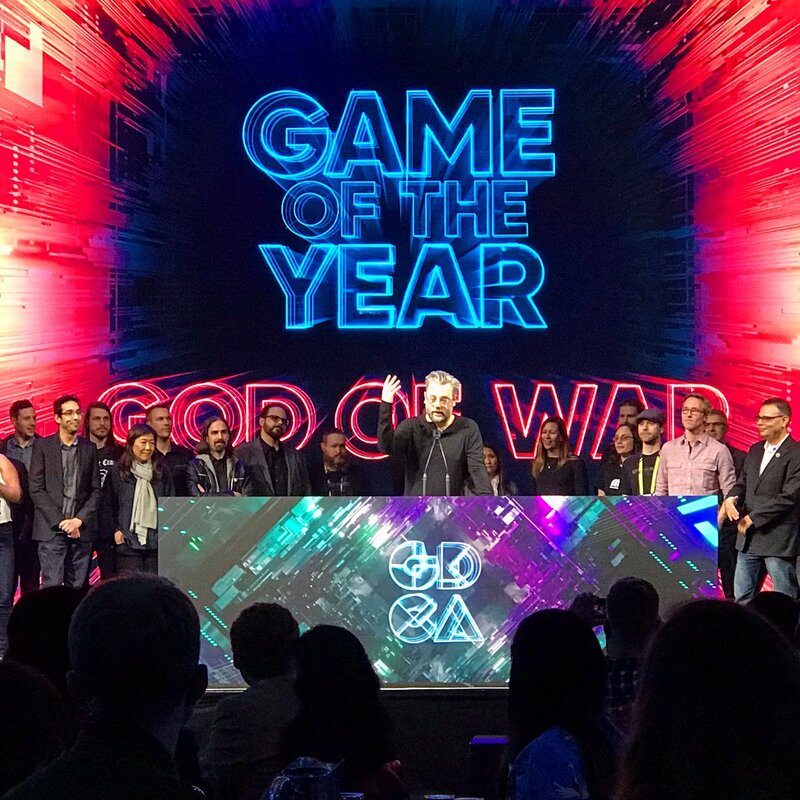 Sony Santa Monica’s God of War won the Game of the Year Award at the 19th annual GDC Awards. Producer Yumi Yang received much praise in the acceptance speech which you can watch. God of War has swept the major game awards this year, winning Game of the Year starting at the Game Awards in LA in December, DICE in Vegas, and the SXSW Gaming Awards. 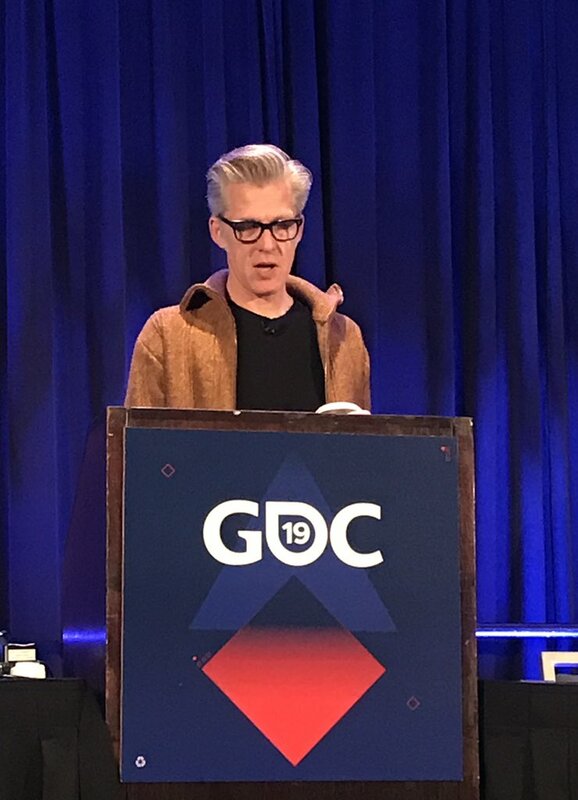 Indie games swept most of the rest of the awards. Beat Saber won two: VR/AR and Audience Choice. 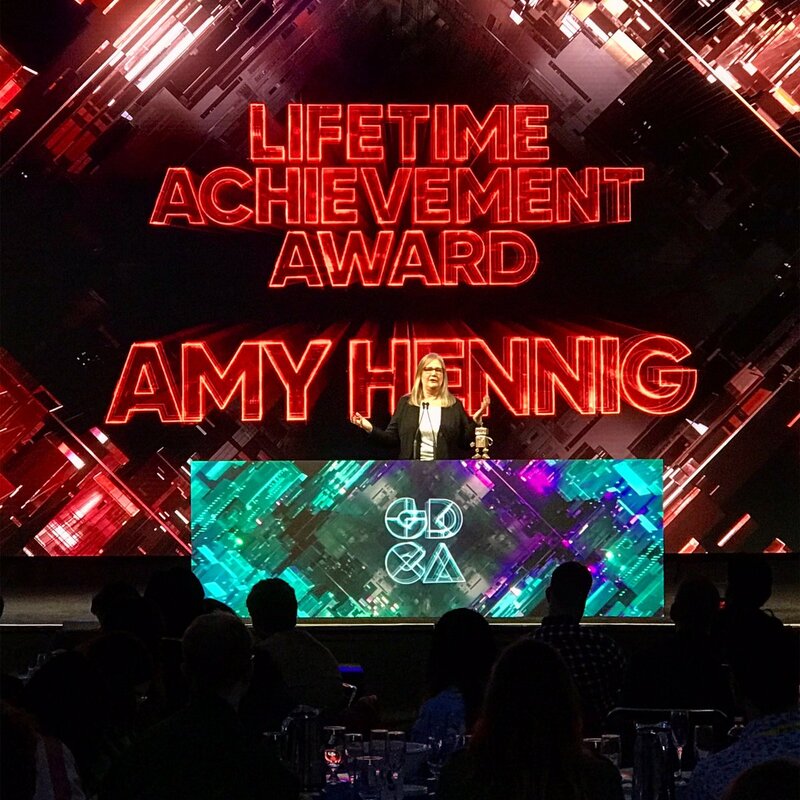 Amy Hennig won Lifetime Achievement Award. She is best known for her work on the Uncharted franchise when she was at Naughty Dog, based in Santa Monica. 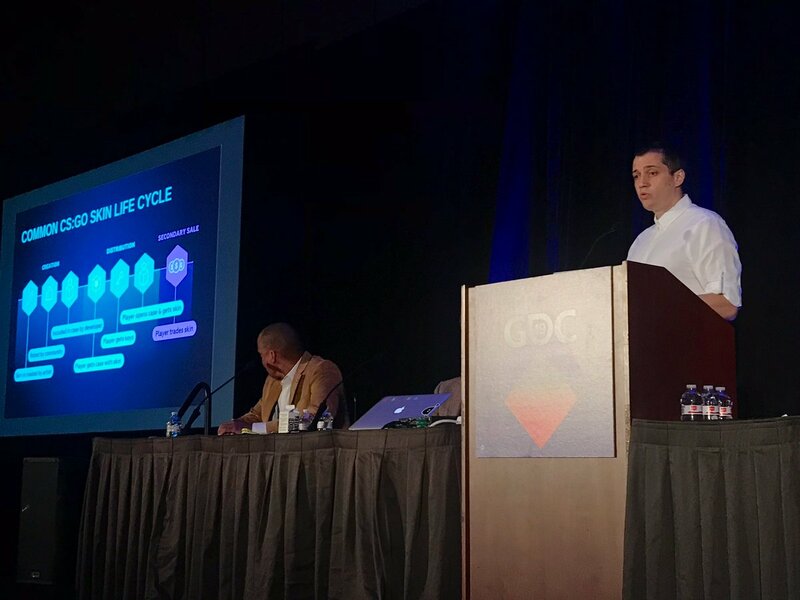 Survios Mike duo described how to get your VR game into the VR arcades nationwide, based on experience with their Sprint Vector, Raw Data, and other games. Survios is based in Culver City. VR arcades prefer to feature games that are easy to play, quick jump in and play time, which helps with throughput at the arcades. Make your controls very easy to use for causal users. Avoid combos. Shorten time from put on headset to playing the game. Avoid time spent selecting characters, map, skins, accessories. Make sure it’s fun and repayable. Develop relationships with VR arcade operators to educate them about your games so they are excited about it, and promote it. Give them game assets including graphics, screenshots, trailer, standees, one-sheet, 1 line description. Help train their staff so they know about the game. 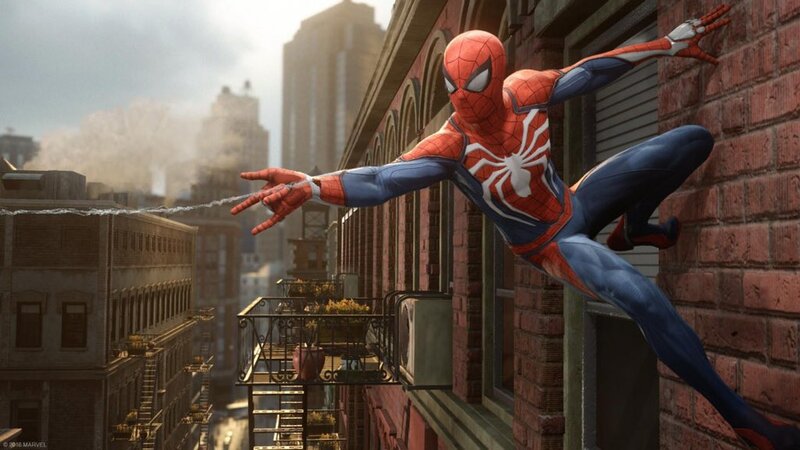 Robert Coddington described animation of Spider-Man by Insomniac Games, based in Burbank. Spider’s animation initially too stand and punch, so animators made it more Spidey-like with leap and punch, fast, agile. Stunt actors movements are in the game. Animators are actors. Period. 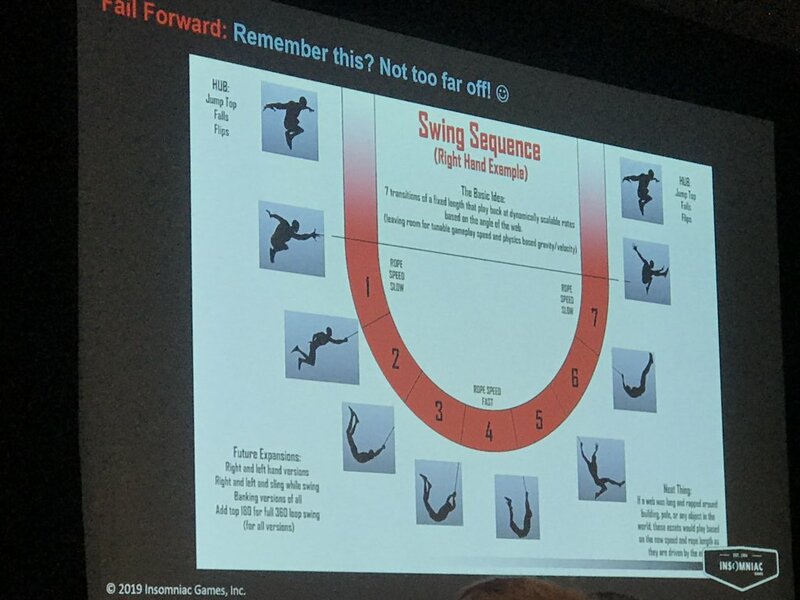 The animators break down the Web Swing animation into 5 parts. So scientific like Peter Parker! Diversity is not just bringing in diverse people, but Inclusion so they don’t leave. D&I should include paid roles, not just volunteers on top of their regular jobs. Find out what problems are, and have diverse people help solve them. 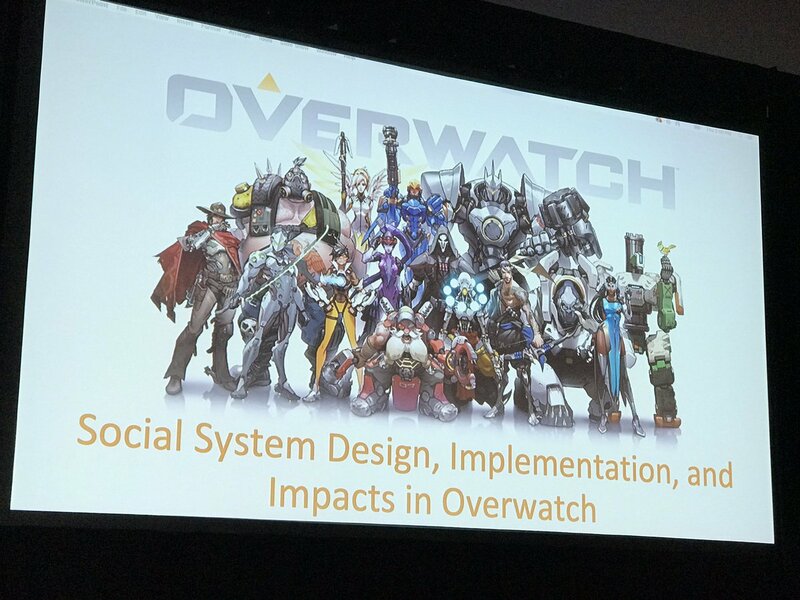 The popular Overwatch game penalizes bad behavior and rewards good behavior in-game. The Overwatch strike team Strike Team analyzes player behavior in real time. Currently <1% of players have bad behavior. Overwatch has AI chat systems to detect abusive chats. Chats let players report abusive behavior: cheating, spam, and inactivity. Players can give endorsements to fellow players, displayed as a number. Players w endorsements get random awards via a digital loot box with goodies for their character. There are penalties for bad behavior, which is usually successful and preventing future bad behavior. Results: Disruptive behavior decreased 40%. Trust increased. 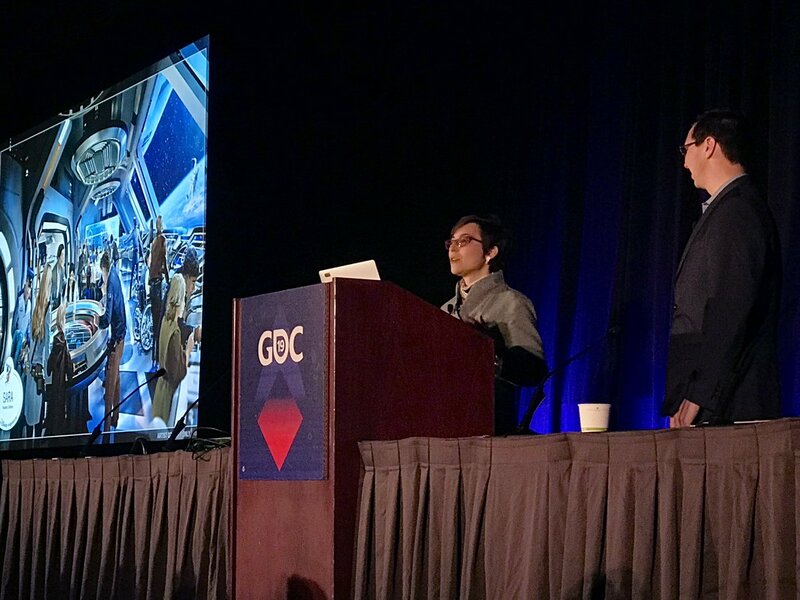 Disney Imagineers described how they do world building at their theme parks and other attractions, with applications to game developers who also build worlds. Game skins are rapidly becoming a large market, as players buy new looks for they costumes, weapons, accessories, vehicles, and more to customize their characters and look cool. The more virtual skins (outfits, weapons) you offer and make easily visible in your game, the more revenue your game makes, said Vlad of D Market in the ‘Math of Skins.’ Players are trading skins in a secondary market, so add that feature to your game. In the near future, a Game Fashion / Costume Designer will be a sought after role, and famous clothing designers and celebrities will start to design in-game outfits. 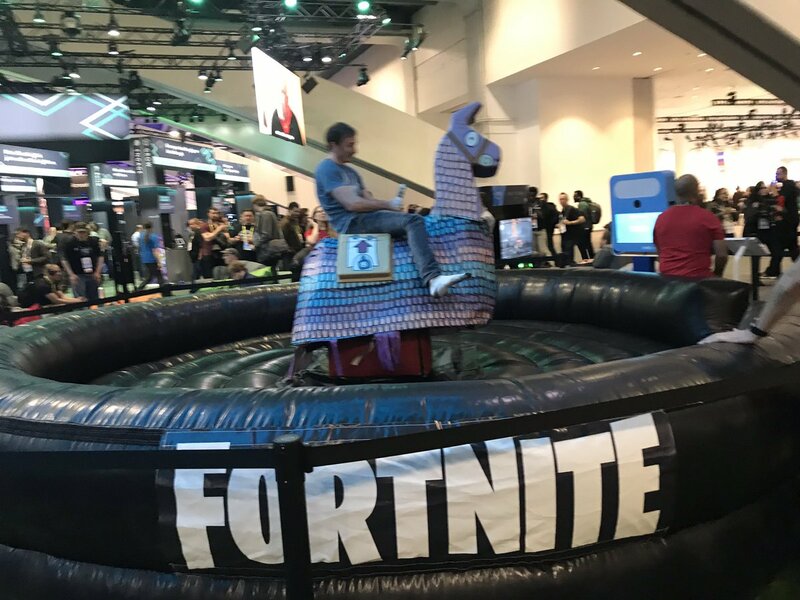 Epic Games had the most fun booth on the show floor, with lots of game play, beanbags to relax and chill, and a mechanical Fornite llama you could ride. Plus non-stop giveaways kept attendees coming back. The booth gave out Unreal and Fornite shirts.The delicious smells of fresh-baked cookies and popcorn beckoned attendees. 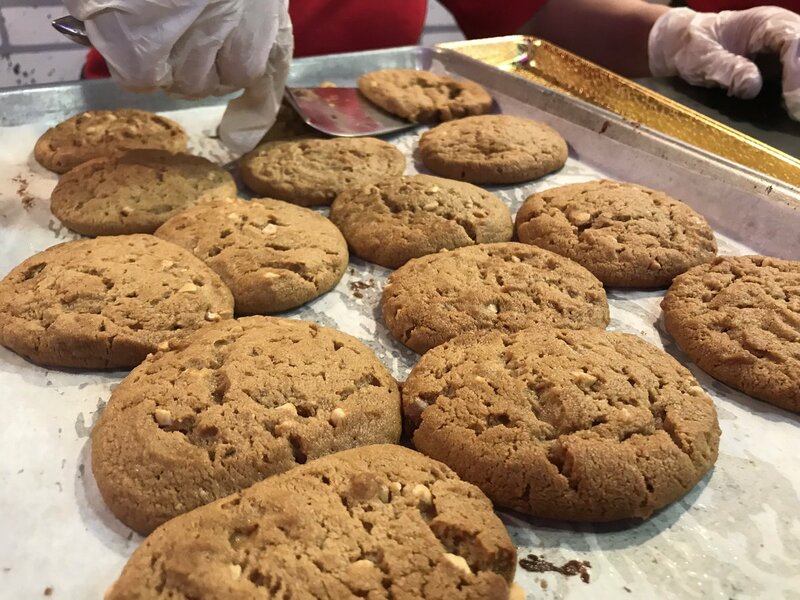 Ovens churned out non-stop baked chocolate chip, peanut butter, and oatmeal cookies all day. 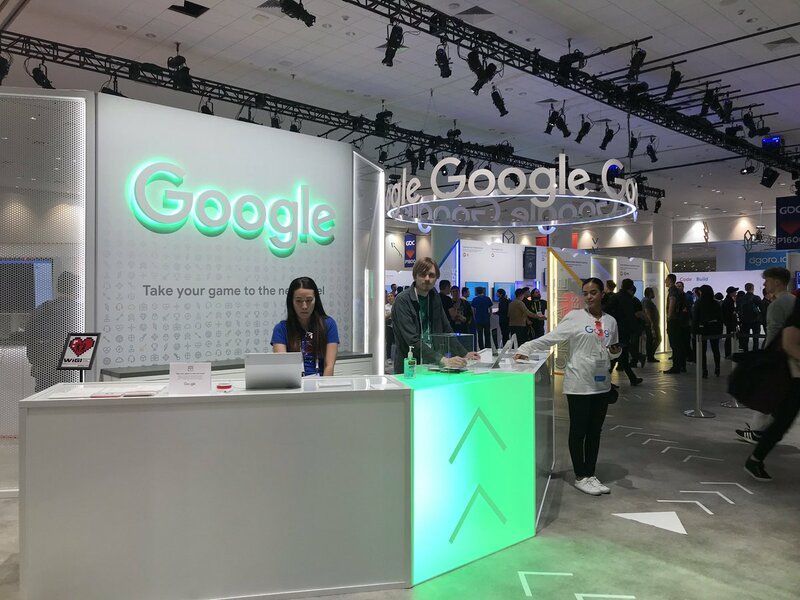 Google promoted its new Stadia consoleless game system, which was the biggest news of GDC. Users don’t need a console to play Stadia games. They will be able to access their game seamlessly from computer, phone, or other mobile device. The game is mostly stored in the cloud. 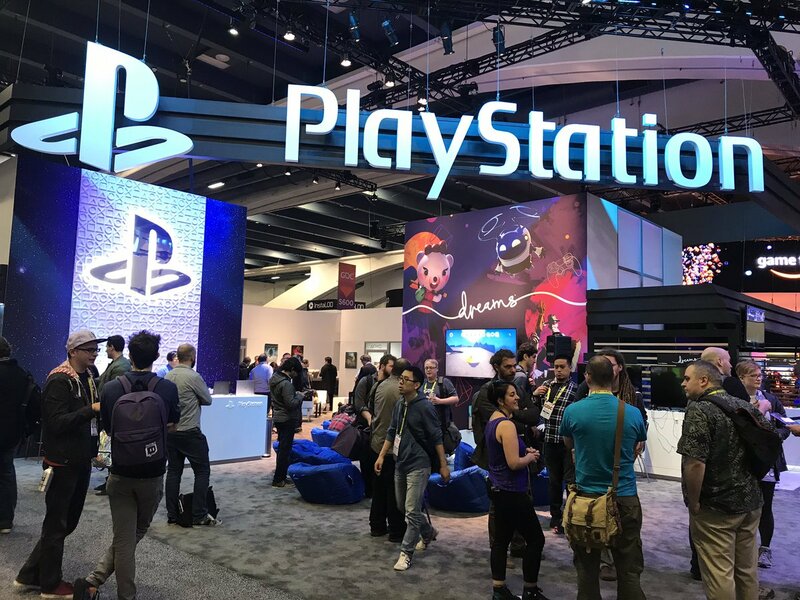 PlayStation featured several game demos. 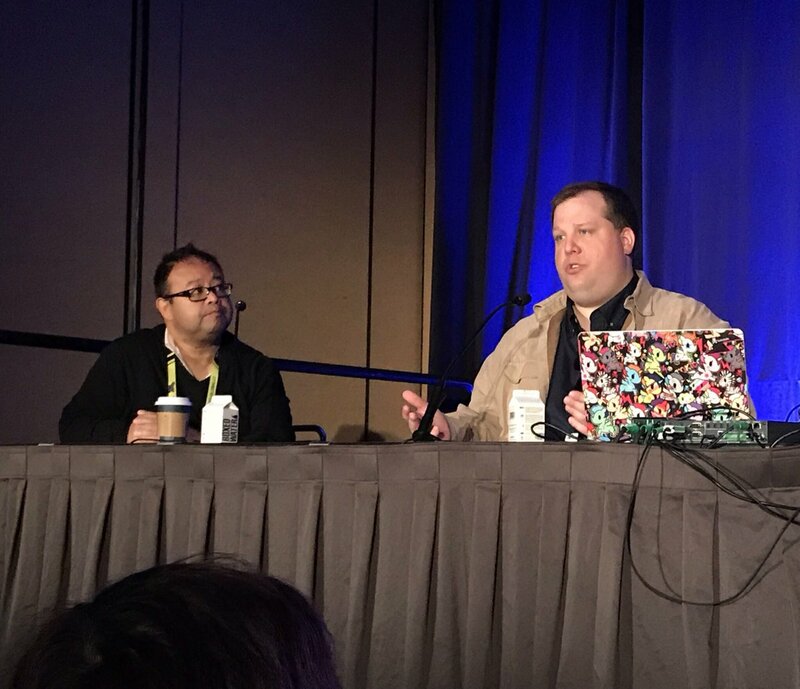 Digital LA – GDC Tea. 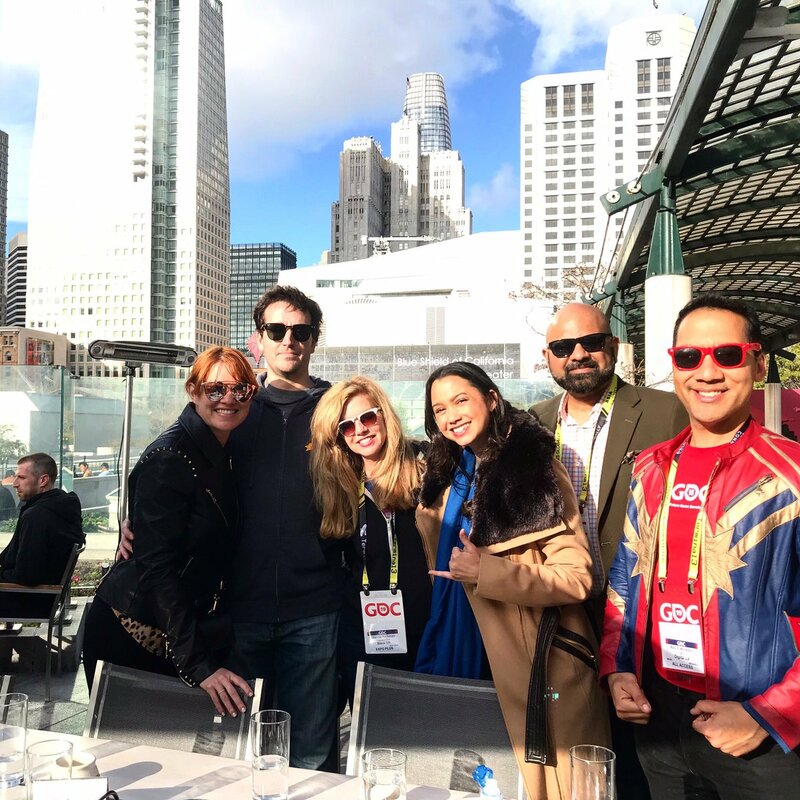 We hosted our third annual GDC Tea meetup at the Samovar tea house to enjoy the sun and trade tips on best panels, swag and parties. See article. 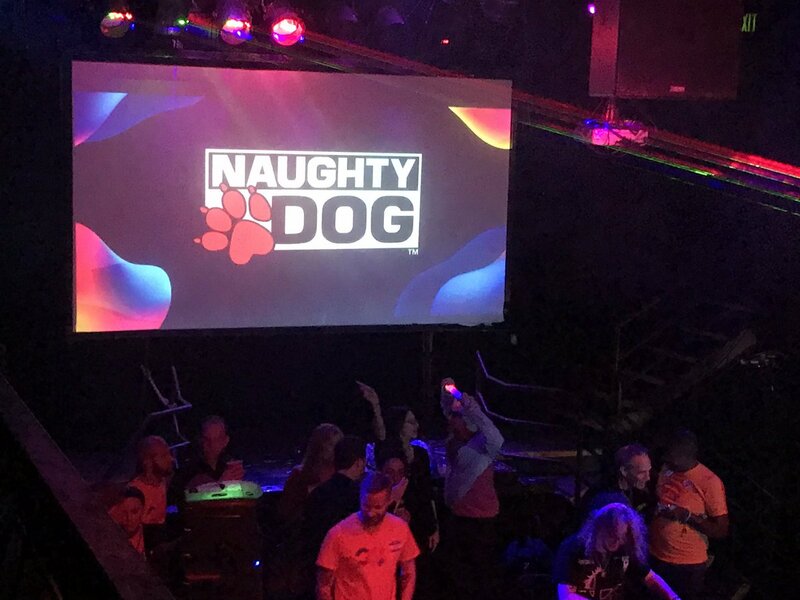 Gay Gaming Professionals hosted a big al inclusive party at the DNA Lounge. Facebook Gaming and Oculus were the major sponsors, along with dozens of other sponsors including LA-based companies Naughty Dog and JamCity. Attendees danced with glow sticks on the dance floor and the stage as DJs played a fun mix. Scopely‘s private reception featured Star Trek theme, to celebrate its successful Star Trek Fleet Command mobile game. 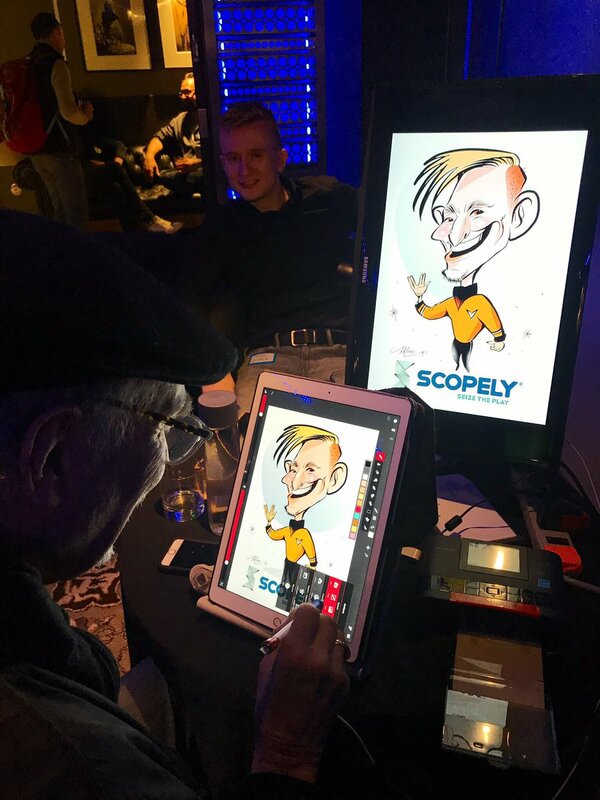 The party included Star Trek themed cocktails, and a digital caricature artist. Scopely is based in Culver City. Its CEO Walter Driver spoke at our Silicon Beach Fest 2012 in Hollywood. 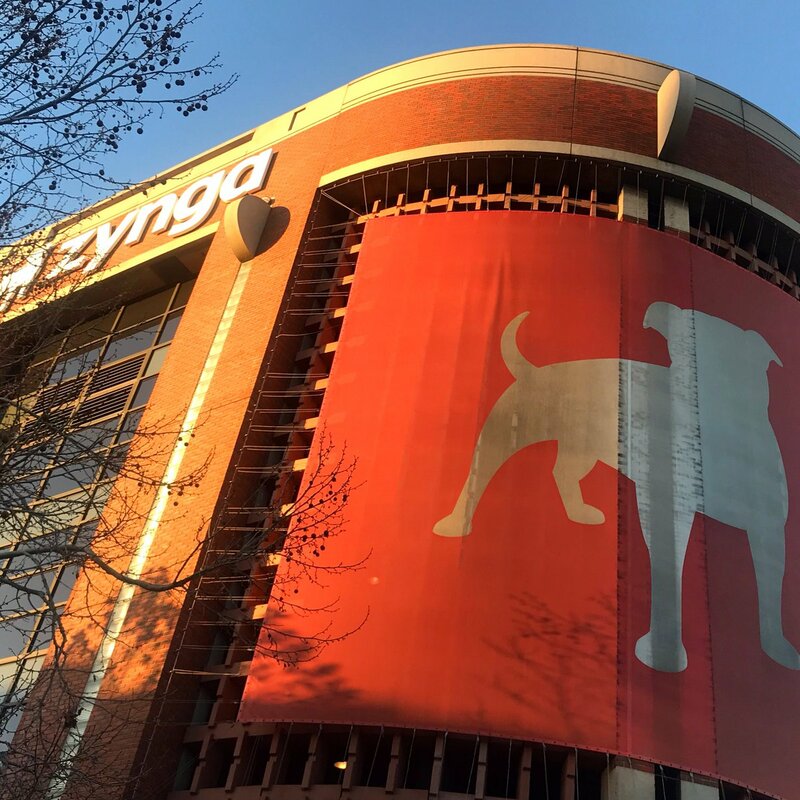 Zynga’s party at its HQ featured dance floor, VIP, arcade, Photo Booth, custom wooden luggage tags, and food representing cities where it has offices including Chicago, Toronto and more.